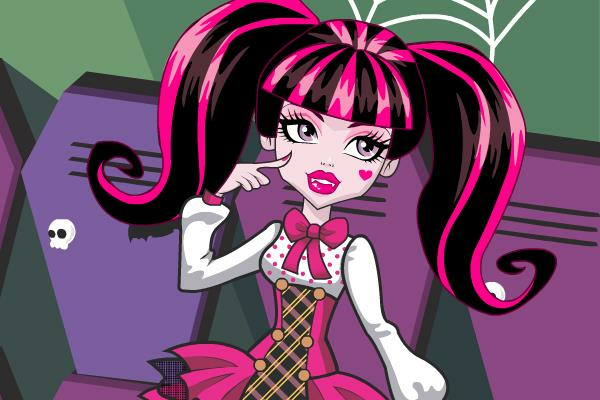 Monster High Draculaura Fashion Game. Draculaura is the daughter of Count Dracula. Did you know that she has a pet named Count Fabulous. Draculaura is in a relationship with Clawd Wolf. He is the brother of her best friend Clawdeen. Dracalaura is a vegan and she does not drink blood even though she is a vampire.